Guy: This week we welcome back to the show Donal O’Neill. The man behind the documentaries Cereal Killers & CK2 – Run On Fat, is here to discuss his new movie: The Big Fat Fix. You premiered in British Parliament – how did that happen and what was the reaction? [00:01:00] We’ve got him back on the show today to discuss his new documentary, ‘The Big Fat Fix.’ I watched it the other day and it is awesome and I encourage everyone that listens to this show to go and check it out. Just rent it, download it, stream it, whatever, share it with your family because it is an awesome message. In this movie, he basically teams up with cardiologist Hassim [U-th-ra 00:00:54] from the UK and he takes him on a journey to a small forgotten village in Italy where the true secrets of the Mediterranean diet can be found. The message I love from this movie, it’s not only food, it’s medicine, but lifestyle is medicine too. I thought they nailed the message really really well. Of course, then they show you how we can apply that message into our busy lives of today. We dive into it. You are going to love it. It was great to have Donal back on the show as well. If you do enjoy this episode, we’ve got a couple of other interviews that are very related because we’ve had Donal on before and other people from the cereal killers movie. Just remember Sammy [Inki-nen 00:01:36] and also [Me-ri-de-th 00:01:38] Lauren and Dr. Peter [Brook-na-sa 00:01:40]. They were all related to the other movie, so if you want to delve into this more and this message, just go and check those episodes back, but we will link on the show notes as well over at 180nutrition.com.au. [00:02:00] Of course, don’t forget guys, we are now distributing in New Zealand, so our products are available in New Zealand and the USA and I think Dubai is not far behind as we speak as well. If you are looking to clean up your diet and you are looking to improve your lifestyle as well, just head back over to 180 nutrition.com.au and there is a whole host of products; clean and ethical, ones that only we use and produce ourselves that can certainly help enhance your daily diet to bring in this way of life even more. Check them out when you can and of course drop us an email if you’ve got any questions. Anyway, let’s go over to Donal O’Neil. Enjoy. Hi, this is Guy Laurence. I’m joined with Stewart Cook as always. Hey, Stu. Our awesome guest today is Donal O’Neil. Donal, welcome back to the show. 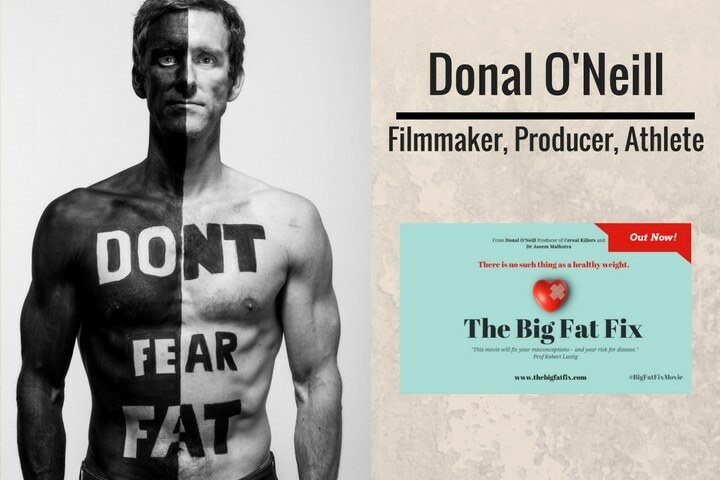 It’s absolutely awesome to have you back on to discuss your new movie in a bit, ‘The Big Fat Fix.’ We watched it the other day and just thought again you’ve just nailed a fantastic message and if we can continue to spread the word for you mate, then we are happy to get behind it because you are doing awesome stuff Donal. Well done. Fantastic. Let’s maybe touch on who’s Donal O’Neil, just in case people … We are picking up new listeners every week. I’m pretty sure maybe 50% of [inaudible 00:03:34] seen your movies from the past, but we could be exposed to a new audience today as well. How would you do your elevator pitch, mate? Who’s Donal O’Neil in a snapshot? [00:04:00] In a nutshell. I’m a former athlete who got very badly injured and got to the age of 30 and couldn’t run any more. That’s probably the first thing I would say about myself. About 6 years ago, my father had an unexpected heart attack. He too was an elite athlete and I wondered why the hell that happened. That curiosity led me to completely changing careers. I was in the tech industry prior to that and online marketing and I decided I want to tell a few stories about health and wellness and human performance and I flew to South Africa and fortunately bumped into one professor Timothy [Nokes 00:04:27] who just happens to be the greatest sports scientist on the planet. [00:05:00] He was very generous with his time and his resources and we made a movie together called ‘Cereal Killers.’ That was back in 2013. Off the back of that, we followed up with phenomenal [inaudible 00:04:44] champion who contacted me off the back of ‘Cereal Killers’ to say that he too eats a low carbohydrate, high fat diet and was winning world [armor 00:04:53] title. We were on a bit of a role there and ‘The Big Fat Fixer,’ our third movie with the brilliant young British Cardiologist Hassim [Ma-la-ha-dra 00:05:02] takes a full circle into my 6 year investigation into health and lifestyle and longevity and human performance. In a nutshell, that’s … That’s actually not a nutshell, that’s quite a lengthy nutshell. That’s a big nut. That’s a walnut right there. Total quality. You premiered in the British parliament I heard. Is that correct? [00:06:00] That is correct, yeah. Thanks to Hassim who is a very let’s say networked person in the UK. He’s got an incredible voice over there and it’s been phenomenal making the movie with him and in particular we are into the aftermath and we just featured in the New York Times. Yesterday I was well, he’s got a phenomenal profile and he’s got a great voice. He’s somebody that people are listening to. He’s actually in the UK and particularly many of the politicians. Yeah, we managed to premier in Westminster and we are now moving to the European parliament. We are going to have a screening there and we’ve been invited to Malta, the Welsh assembly and it just keeps going. It was fantastic because Hassim is big on changing policy and the only way you can do that is to get in front of the people who set those policies. That was the objective. He spends a lot of time communicating with politicians because he is a cardiologist, but he works in the NHIS predominantly and he is a big big supporter of that. That’s the national health service in the UK. It’s a free health service. He’s very passionate about patient health. This is the stuff that at strategic level that he really wants to impact. [00:07:00] It’s really been down to Hassim. I don’t have those types of connections. I just tell stories and make movies, but he’s really posted [inaudible 00:07:08] in terms of getting the movie visibility in the UK and in the US as well. Yeah. It’s an incredible message mate. It’s guaranteed to get people thinking. It has to. If you sit and watch that for an hour and 20 minutes. Actually, just [crosstalk 00:07:23] … You are not meant to be sitting for an hour and 20 minutes to watch it as you well know. Mate, I am on a stand up desk right here. I was doing my movement practices just before the podcast. It’s probably down to the fate, he broke his chair. That’s why he’s standing. During the premier year in the British parliament, did they have an intermission of digestive biscuits and cups of tea? [00:08:00] No, but they did all get up at that magical 48th minute mark and start running around. We had politicians on the move so it was all good. Awesome man. The first question popped in, is why make a 3rd movie? Because you had 2 different movies with ‘Cereal Killers’ 1 and then 2, and then I was thinking, where is he going to go with this 3rd one? Again, it took me by surprise the holistic message you got in there, but how did the 3rd one transfer here Donal? [00:09:00] ‘Cereal Killers’ was the first one. I never intended to make any more than one movie. I’d started something and I couldn’t get the thing finished, so I just kept going. When Sammy contacted me, I went and I met him and he financed the screening tour of the US for cereal killers. You spoken to him, he’s just a remarkable person. When he and I sat down, I though, Don we should make a movie about this guy. Then of course we interviewed Steve [Fili 00:08:52] in the course of [inaudible 00:08:54] and the big fat fix happened because of 1 8th of information that Steve Fini gave us in the making of [inaudible 00:09:01]. That’s what tends to happen. You tend to stumble across something else that’s fascinating. Fini was the first person I’d met who had personally known [Anzel-keys 00:09:11] and he’d had a conversation with Keys in the late 1980s so Keys would have been I his late 80s at that time. He had told him, Keys of course being the architect of the Mediterranean diet and modern nutrition policies. He had told Fini that he had a paper that he was trying to get published that would pretty possibly have changed direction of perceptions and cholesterol because Keys was renown for his work and demonizing cholesterol. When I heard that I was like, “Wo!” I thought that was a light bulb moment. [00:10:00] When we wrapped her on fat I started to investigate more about Anzelkeys and where he studied and how he went about his work and it turns out he spent 30 to 40 years for 6 months duration every year in a tiny village called Pioppi 2 hours outside of Naples. I couldn’t find anything about this place. I just thought we’d grab a camera and a cardiologist and a team and go there and see what happens. There wasn’t really any grand plan, I just wanted to know why this place had been forgotten. That’s where we kicked off. Anzelkeys, when he was there, 6 months to a year, was he on a low fat diet or the Mediterranean diet? [00:11:00] What he was eating … The amazing thing about that part of the world is that it’s very very difficult to explain or even depict it on camera, but Pioppi is a village of 190 people. Anzelkey, his villa, was perched right on the sea and the sea, it’s the cleanest water you’ll ever see. It’s remarkable. There is no industry. It’s almost a land-locked little area in terms of road accessibility. It’s quite poor. 10 little boats leave the village to this day every day and they each fish with their own catch, be it an octopus or bluefish or whatever. They don’t over-fish. There is no industry. They fend for themselves. They grow their own Olives. [00:12:00] They didn’t have a word for organic. They looked at us like we didn’t know what we were talking about. Certainly in that area fish was an abundant food that they would have enjoyed. There wouldn’t have been an awful lot of meat as there would have been in Creek, one of the other cool hearts, but there were certainly guzzling the olive oil. It was not as low fat as we have been led to believe. That’s for sure, but I think the key take-away was really that sugar for them was something that was very precious. It was not something they consumed daily at all and it really had no place in the data. That was something that for whatever reason, that message did not carry forward to the western world when the US government decided on their own nutritional policy based on Key’s work, but there was no sugar in that area at that time. Beyond travelling to Italy, tell us a little bit about the science behind the findings and recommendations within the movie? [00:13:00] It’s certainly the most research I’ve done for any of the movies. We really jumped into the science in a number of areas and the very last frame in the movie just shows the studies. There are over 100 of them, but I want to know more about the lifestyle principles because when you are there and you are in that place, as the Stefanos mayor says there is a treasure there, but it’s very very hard to tell you now or even to put it on screen, but it is a magical place. It seeps into your bones. It’s just remarkable. How do you gather up everything that this place enjoys and put it into a prescription which is what Hassim tried to do and I think did his best as anybody could have done, but we looked at the lifestyle pillars and broke them down and segmented them because in my view, not being a medic can be a tremendous advantage sometimes so I’m not [inaudible 00:13:35] by any one direction or any one piece of expertise. [00:14:00] I looked at everything from Vitamin D through to movement and mobility to which takes you down into lean muscle mass and all those types of things, but also sleep and stress which is a bit of a willy one, the doctors really don’t like the word stress because how do you measure that, but it’s the one thing you can see. If somebody is stressed, you’ll see it before anything else in their person. It’s a vital component and it’s something we don’t know enough about. All of those issues we delved into and even the exercise science and … I tell people, sure I exercise myself, not nearly as much as I used to or as people sometimes think, but the stats don’t really back it up in comparison to habitual movement. [00:15:00] It’s a heavyweight versus the welterweight unfortunately for those who love to exercise very aggressively. There are no gyms in Pioppi. The eldest man there is 107, the eldest woman was 106. They’ve never seen a dumbbell. All they’ve done is they’ve lived a life of Antonio, the oldest guy, I think he would have been in the war and then he would have worked in the field and that was just what they did, but they were intimate with fasting as well without planning it because they didn’t always have 3 meals a day. The siesta, the research supporting siesta is coming through now and the importance of sleep which we now now for whole body health. Everything they did intuitively just seemed to tick the right box. They weren’t asking any questions. They were just living their lives. How long were you there for filming? Donal? We were there for about 10 days. We were due to go back and we had actually pitched the piece to the BBC, but they wanted to take it along with that and we just wouldn’t be sure whether [inaudible 00:15:39] control what would happen, so we decided to crowd fund it. We became the 4th highest crowd funded documentary film in the UK since the inception of Kickstarter. We managed to get over the 50,000 points mark which set us on our way. We were delighted with that, but it’s all hard work. When you are trying to keep ownership of the message which was, Hassim was, he was adamant of that as was I, so we didn’t really have any choice. Again we threw it out to the crowd and they said, “Go forth.” Which was great. Had there been any parts from all your research and filming the movie, you’ve gone, “Ah, I’d like …” Has your approach, your mindset changed about any of it and have you incorporated new things into your lifestyle since making it or is it across the board? [00:17:00] The biggest thing for me really was the importance of mobility into old age because when you down and you see those people and you are looking at very old people, it’s remarkable because for me anyway as an athlete, I would have always turned up to the track of the race or the meter, whatever. You are assessing all the athletes and sports people around you. I have a tendency to look at someone and I’ll have a pretty good shot at what their sport or what their code of movement might be. I’d like to look at bodies and check out their structure and all of that, but I was completely caught out on the first day. [00:18:00] We’d gone for lunch and we had an old waiter who was looking after us and I was fine. He seemed to be doing everything in there. The next day he was up fixing a roof. We found out that he was the owner of the restaurant and he was 85 years old. It didn’t strike me that he was .. I thought he may have been in the 60s or something, it didn’t strike me that he didn’t look like an old person. He was moving very fluidly and it was just one of those times when you think, you can rack up all the sand you want, but if you see somebody that moves well; that agility, that’s what youth and vitality really boils down to and we now know that once you start to lose that, there are some very basic mobility tests that caught it very very strongly with all cause mortality over a 10 year period. Stu’s got a really tough life in [inaudible 00:19:48]. [00:20:00] Let me just tell you, I do have 3 young daughters. Single guy there smiling while I’ve got it really hard. 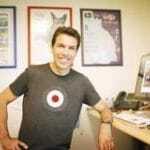 It’s just very interesting because we spoke to Damian Christoff who is one of the wellness guys over here. He spent some time, was it in a career guide? He said the same thing. These guys had just dialed into a century’s worth of age old living where they just do all the stuff and it’s just normal to them and they are not influenced by all of our precious and stresses of modern-day life and they are living really long, healthy lives. Fascinating. [00:21:00] I think the scientists have come in behind us so now we are in Pioppi and they are in the region doing the research from the university of southern California, but I’m not sure you can bottle it. You can try, but they are talking about herbs and this and that. To me it’s just ludicrous because when you go there it’s something … The things you can measure are probably the least important aspects of the lifestyle and on the stress issue, some of the greatest work that I have encountered has been with my good mate here in Cape Town who’s a Tai Chi and a movement expert, Andre. He’s in the movie. The work that he did with professor [inaudible 00:21:25] to understand why athletes choke effectively is absolutely incredible. [00:22:00] They had put together a Tai Chi structure protocol to manage an exterior stress and what they found amongst athletes and how they re-engineered the, not the stressor, but the response to it, it’s all about the response to the stressor, is absolutely phenomenal. Of course, I went there and studied the origins of Tai Chi and it’s the purest martial arts and it’s got a direct lineage to the battlefield thousands of years ago. Although we see old people in Asia waving their arms around and think that looks ridiculous, when you understand, I had Andre walk me through what some of the moves would do, so this one wold crack a collar bone and this one would break a leg, it was a genuine martial arts, but the very basis of it, the foundation of it is that at all times they remain completely stress free. [00:23:00] When the attack comes, they are in a position to work with the parasympathetic system as opposed to the sympathetic system. You are not feeling any pressure. The one thing I love about that was that meditation and visualization is something that I was taught at a very early age, but in Tai Chi you are in a vertical situation and you don’t go through life on your back. You go through life and operate locomotive situation. Tai Chi for me was quite an eye opener in terms of stress management. That was one of the other big take-aways. On that movement thought as well, we had a very heavy period of rain a couple of days ago so I couldn’t get out the house. To give you a little bit of background information, I like to go to the gym like 3 times a week and I just lift heavy weights. Really heavy weights, really slowly. I’m in and out in like 20 minutes. I don’t spend a huge amount of time in there, but I couldn’t do that a few days ago. I thought, I’m going to go crazy, what am I going to do? I thought, I’m going to copy some of those movements that you did on the movie and you were doing back rolls, and you flipped over, and you [inaudible 00:23:50] on your back and you were getting down into squats and holding bi heavy things in the squat position. [00:24:00] I did that for 15 minutes. Just around the garage, back rolling backwards and forwards. The next day, I felt like I had been assaulted by somebody with a great big stick. Every inch of my body and I’ve never felt it before. That is just the most unusual thing. You just realize that we’ve got all of these muscles that we use without ever knowing about it as a kid. We just roll around and jump and climb and get into mischief, but of course, we do this linear fix movements in the gym as part of our exercise routine and we are just going through the motions. I’m still aching now everywhere. We aim to please , Stu. Really interesting, but it just again brought to my attention the importance of use it or lose it. You really got to keep doing the stuff that we have been, I guess ingrained in us since we’ve been young, just to get out there and move and just do stuff and go crazy. What does your movement exercise routine look like these days Donal? Do you [inaudible 00:25:02] daily, a couple of times a week? I certainly move everyday, but as some of my med said, that must have been a tough movie to make. You just got a camera and made them follow you around for a few days doing what you normally do anyway. We’ve got access to great resources here. Obviously we live down in the beach now so I do most of my work on the beach, but it’s never more than 15 minutes. Yesterday I did the isometric type training and it’s 5 lifts for about 15 seconds, full session, but I do a lot of the crawling and the mobility work and that type of thing because I had got to 30 years of age and I had gone from being an international athlete to somebody who couldn’t run, I was in so much pain. [00:26:00] I’ve had to re-engineer the way I use my body. I’ve been researching things like fascia and what not, everybody focuses on the muscle, but we’ve got tendons and fascia and they are starting to understand that this is super important stuff and it’s probably where … I don’t have any doubt that it’s where real power comes from. It’s the Bruce Lee release [inaudible 00:26:16] that size he had such power. I went and studied all that stuff as well and it fascinates me, so I’m fortunate that we’ve got some incredible expertise including my wife Luis to feed off around here. [00:27:00] Fundamentally, it’s almost like going back to childhood. I haven’t been in the gym in years. Everything I do is outside and we’ve got a big rock going here on a grassy [inaudible 00:26:43] overlooking the beach and people look at me like I’m crazy, but that’s where I lived. I climb those trees and I do the balance work, the grip work, and the rope climbs. Because that’s what goes wrong. If you take someone who is going to a gym and they think they are pretty strong, go get them to climb a 7 meter rope and see how they get on. Then you will see. It’s something of a cheat because if you want to call it training, I do it for very very short period of time, but they are very very advanced moves, so you can’t do them for any length of time anyway. It works for me. I’m 45 now. My body feels certainly a lot better than when I was 30 with all those injuries. Fantastic. It’s good message. It’s easy to do. We get so caught up in our little habits of I will just do this and just stroll to the gym, push a couple of weights, stroll back and then carry on. I challenge everybody to watch the movie and give it a go because I did the other day and clearly very effective because I can barely stand. Twice … I want to switch gears on the conversation and I want to touch on the Mediterranean diet. It’s very easy to think Italian diet or whatever, lots of pasta and gluten and all the rest of it, but can you … What does the Mediterranean diet look like and what did you discover while you were over there? [00:29:00] No one has broken this diet better than Nina Tatro. I was in her great book the big fat surprise, but the Mediterranean diet really originated from Anzelkeys studies into 7 cohorts or areas down there. The first thing is that the range of fat in those diet was from 20% up to about 40%. The US government decided that, we are not going to endorse a 40% fat diet, let’s make it 20. In places like [Crit 00:28:58], obviously you had mutton and lamb consumption, a lot more red meat than you would have had in Italy, but the food that cross and span the region are pretty much olive oil and pork funny enough is one that’s quite prevalent or not huge amounts. After that you are into the … You are just phenomenally, fresh what we would I guess call organic vegetables and fresh fruits. [00:30:00] It wouldn’t have been a low carbohydrate diet in a strict sense, but as I mentioned earlier, there was no sugar. Sugar was not something that they indulged in. They were walking in the fields. The men in particular. The men in Pioppi still outlive the women. The average man lives to 89 years of age. That’s about 9 to 10 years more than other countries around the world. It’s highly unusual for men to live longer than women, but the other thing I will say is the misinterpretation of the diet came right at the outside because it’s the [inaudible 00:30:12] in the movie, theata, the Greek word means lifestyle. [00:31:00] Food was a component of it, but you had all of these other aspects, the pillars of the Mediterranean lifestyle, but in terms of food it’s just super fresh, very high quality vegetables, it’s olive oil which predominantly they would have grown and crushed themselves. It’s red wine. It’s dairy in some areas. There is not so much dairy in others, but cheese is pretty much everywhere as well and nuts. It’s that simple. This was a time of poverty when this research was done. One of the key mistakes again that was made, when keys to the study [inaudible 00:30:59] was post-war, and they weren’t consuming any meat because they couldn’t get it. The people at that time they felt that their diet was actually very poor when they were interviewed. Nina Tatro [inaudible 00:31:12] into this, but there were a lot of holes in the research which I suppose is understandable. That’s a long time ago and they wouldn’t have had access to the resources you have today, but by the same token, I think the work that key’s put in it was certainly, there was some fascinating stuff in there, but they drew some pretty aggressive conclusions. By the time it reached the plates of the average American, the concept of the Mediterranean diet had been diluted into something that, certainly nobody in Pioppi would recognize. [00:32:00] They just want to focus on, it’s the food, it’s what’s in the plate, and that’s it, but the timing of when you eat and how you eat and how long you take to eat, all of those things are going to matter. I think [inaudible 00:32:08] is going to be the final frontier in all of this. Again, speaking to the experts in that space, the one thing that will open the gut out to disease and pathology is stress. It’s way more damaging than a piece of bread or a lump of pasta. I was fascinated to learn that so they don’t eat for fuel, they eat for … It’s a social event. It’s not like they are grabbing a sandwich or a bit of pasta or whatever the hell it is or running off back to work, they are sitting down and they are eating with people and when they have their coffee, one of the points I make is that we go into Starbucks and you’ve got that huge big coffee, but you are not talking to anybody. [00:33:00] I went into Starbucks in New York a couple of weeks back and it’s not a coffee bar, it’s a sweet shop. It just happen to sell every cup of … They were at least 37 orders when I was there. We were the only ones, we ordered 2 double espressos and that was it. Everybody else ordered some types of confectionery coffee. It’s insane. Down there, you’ve got your little espresso bars, the old guys sit down, they get together and they have a chat. You know what, a lot of them still even smoke. It’s unbelievable. They are old dudes and they are sitting there having a fag. My God. What Hassim said and [inaudible 00:33:39] said, this is my goodness, that just puts into perspective how powerful this environment is. They can even smoke and get away with it. It’s a paradise really. [00:34:00] It’s very interesting because it seems nowadays that we are so fixated on every facet or our health. We’ve got studies around dairy and gluten and vegetable oils and the effects of sugar, but when you pull that back to how our grandfathers and our forefathers ate, it is very much the lifestyle you are talking about of just no stress, you just eat food, you don’t stress about it, you work a lot, you sleep a lot, and that’s just life. You don’t worry about these things. Nowadays, we probably do more damage stressing about eating a piece of bread than actually eating the bread itself. It’s just lunacy. [00:35:00] One of the big [inaudible 00:34:34], he backed away from giving the movie a bum because there was a reference to dairy in there. I’m like, “Hang on a minute. 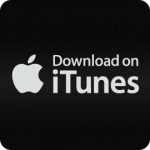 Do you want to listen to Antonio who is 107 who’s still alive and [crosstalk 00:34:46] or do you want to … Are you so fixated on the caveman who lived to be 46 and had no teeth? What are you talking about?” People they get mad about these stuff and I don’t really care about what somebody eats as long as they are … If they are in good health then good luck to them. Carry on. They are happy as well because food can cause so much misery in people’s lives because there is so much confusion and a lot of our health these days is spiraling out of our own control and we immediately think, “It’s got to be the food I’m eating,” but I think there is a whole heap of other factors that influence that. The greatest gift we can give ourselves is see how they are living that lifestyle and what key points we can apply into our daily lifestyle somehow. Which is fantastic. Absolutely. What I was keen to ask, because I meant to ask you earlier, it really didn’t come up, was how did you end up working with Hassim the cardiologist? Where did that relationship start? [00:37:00] It started with cereal killers. The remarkable thing about cereal killers was it took a couple of years because I kissed every frog in the editing industry a lot on the way to get it done and I didn’t know what I was doing. By the time it came out, it coincided with the release of a huge scientific paper into that whole space, one of the very first actually. Hassim was all over that in the UK. He got behind the movie and arranged a screening and they got the good and the great of the British media there. He just stepped up and really gave me a leg up with cereal killers a couple of years back. We’ve been in touch ever since. That was it. Again, just a sequence of fortunate circumstances. It’s so great to see a cardiologist like that coming up with the message that he is. Is he getting a hard time back in the UK or are people getting behind him? [00:38:00] He’s getting a hard time in the UK. The great thing is he is not getting a hard time in the US as well. I [inaudible 00:37:50] the New York Time best. That’s the space we are in. Some of the most aggressive are vegans and vegan doctors and what not. It’s bizarre because, again, what I take from our experience in Pioppi was that if you take away the sugar, you probably get more benefit from what you are not eating than what you are eating. You take out the crap in the processed food, what you want to do after that, it’s you are already 60, 70, 80% down the line, so why would you scream and shout about the fact that someone is eating fish or a meter eggs or whether they should or they shouldn’t be because everyone is on the same path. Sometimes that message gets lost, but it’s unfortunate. I thought that was the ice cream van, Donal, outside. [00:39:00] Sorry, that was Dr. Hassim [inaudible 00:38:54] and he’s just wondering why I’ve just told him to bug off. That’s very unprofessional of me. I was just saying it sounds like the ice cream van when I was a young kid. Can you go out and get me a 99 with the flake. As the years were burning and knew we were talking about her. Exactly. Just give us your take now on carbohydrate consumption because we are all as a society very focused on the demonic carbohydrate as we so like to put it. Have your views changed at all? [00:40:00] They haven’t changed so much, but I suppose my bird’s eye view has possibly shifted a little bit because I think the whole area of [inaudible 00:39:43] resistance seems to be critical in all of this. If you have somebody who is very [inaudible 00:39:52] and sensitive by virtue of their genetic make-up, are they ever going to have problems eating carbohydrates, kind of like the 90 year old smokers who we all know. Probably not, but the question is, how do you know we are not going to have an issue and are there better options out there. I think looking at the research we did down in Italy and what not, if you are somebody who is habitually eating some carbohydrates, but you are never getting ill, you are never putting on weight, you are always active and you are ticking so many of these other boxes as they do in that region, it’s not going to matter as much as it does to somebody who is sitting in Melbourne or London or New York and they are a desk jockey 10 hours a day and they are eating out of a box. [00:41:00] It’s just a very very different thing. I’d take a much more holistic view on it now. There are so many other issues that can dramatically impact your response to food that it’s not just the food that’s on the plate. That’s my position now and I don’t really judge any, I don’t really care what anybody eats. If they are happy, great, but if it’s damaging them, then carbohydrates are the first place you’ve got to look I think. Being back in the states again is remarkable just looking at the business of food there. I went to pick up some almond butter and there was sugar in it. I’ve never seen sugar in Almond butter. [00:42:00] Stuff like that. They park it everywhere, but my starting point would be sugar, not carbohydrates per say. I think that’s really where I am now because it’s the one foodstuff that just it permeates the good news story and it permeates the bad news stories. You rarely hear of somebody who’s smashing 50 tea spoons of sugar a day and is feeling great and super healthy. You might hear of someone who’s eating rice or whole grains or whatever the case may be and they are athletic. That’s a slightly different proposition, but I always go back to what [inaudible 00:42:12] said in cereal killers. He says we each got to find our own way. There is no prescription even though that is what we try to do. I think that’s right as well. Especially when we looking at holistic view of health as well because I read an interesting study the other day that spoke in debt about issues with sleep. When we get a really crappy night sleep, we are more resistant, our insulin resistance goes through the roof and that then would govern how we metabolize the foods that we eat and what happens to that with our bodies as well. It’s all of that stuff. If we are stressed, if we’ve got crappy sleep, if we don’t move, then I think our body is going to deal with whatever we put in our mouths in a very different way anyway. It’s intriguing. It absolutely is. I’m going back to the gut discussions that we’ve had. That’s exactly what they are telling me. As soon as the gut is destabilized, you are just open for pathology and illness and there are several getaways to it and food is just one of them. It’s not the most powerful one, they are saying that stress is right up there. Where do you feel anxiety? Straight in the gut. It’s like gut feeling guy. [00:44:00] I met a bloke here the other day. He’s a bit younger than me. He’s 43. He’s a fit guy. He’s a [inaudible 00:43:34]. He was delighted in telling me that he was smashing like a crossfit type routine 5 days a week and this was insane stuff. I was like, “Why are you doing that?” He’s, “Yeah, I want to feel strong.” I say, “Well, you are probably running yourself into [inaudible 00:43:51] because funny you should say that, I just did a 5K last week and I just think that I was rubbish, I got the flu.” I’m like, “What do you think it is? You are just completely over-training. You are not 23, you are 43.” For me it’s about establishing where you are. You do your audit for where you are in life and you respond to that and your response might be a little different than somebody else’s, but as we get older we know that we become less insensitive. You can get around that by the whip training, resistance training and we start to lose mobility. We know how to address that. We don’t sleep as well. You can take steps to address all of those things and protect the organism because at 25 you are at your peak. Everything is deteriorating after that. Quickly deteriorates is up to any number of factors. It’s like a big juggling game, isn’t it? It is. We’ve got this guardian angel. Our hormones that protect us up into the age of 25 and then when they start to go sideways after that it’s game on. We’ve got to do everything we can to try and get that back. I always think about what. 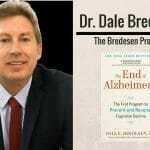 We had Dr. John Hart on the show last year, he’s a longevity expert. He said, you kick the bucket by the weakest link going first basically. Once you are in your 30s, you’ve got to do everything you can to slow the aging process down, otherwise the weakest part is going to go first. It’s so hard to reverse those things. It just makes sense to try and keep these habits. Now, especially because we are all in our 40s. [00:46:00] I think, again, going back to the people of the Mediterranean, the people that lived very very long active lives, they never really put themselves … They weren’t on the perch for illness. They were just wondering through life and doing what they do intuitively and it just happened to be an environment where you want to have a sleep. It’s infuriating. You go down there and there is like a bloody siesta. You are like, “What, I want this.” It turns out that siesta is a very heart healthy, protective habit. They were just doing stuff and they weren’t ever getting to the point where there is a vast deterioration in one part of the system and that’s again in the modern world, you are just getting hammered from all sides. Day in day out. 24/7. Did you bring any stress reduction strategies back from Italy that you practice now? I was so stressed when my internet went down. I was really fortunate, when I was 12 years old, [Daly 00:47:00] Thompson’s coach, Daly Thompson being the Olympic decathlon champion at the time, the double Olympic decathlon champion, [crosstalk 00:47:06] his coach … [crosstalk 00:47:09] … What an athlete. I was in a development squad for young athletes and Daly Thompson’s coach came and he taught us visualization and meditative type techniques. I was blown away. I was 12 years old, but I did that every morning through teenage. I was aiming to go to the games and ultimately I got injured and I probably wasn’t going to be good enough anyway. I was an international, but not a world class one, but that became part of my approach to life. You didn’t tell anyone about it. I was playing football as well. [00:48:00] Now the footballers are doing it, but back then you would have been a girl for meditating or visualization or any of those types of techniques. I’ve always carried that with me and I’ve never really thank goodness suffered too much from stress. I’m pretty laid back anyway, but there are techniques that I can reach into that haven’t changed very much. I’ve researched a bit of the whole mindfulness thing, but anytime I do those things I realize it’s just what I was taught when I was 12 years old. It all comes back to the same place. Again, for some people it’s just going for a walk will do that. I like to be out in nature under some really great research now starting to show that moving or working out or whatever you want to do in nature is more powerful, you get a much more ambitious, cognitive response from that than you do from an urban or a gym environment. [00:49:00] The cognitive performance improves quite dramatically by comparison after the intervention. All of that stuff makes sense, but … It’s the kind of stuff I’ve been doing anyway. There is nothing new. There was I suppose some re-assurance that the way I go about things is pretty good for me anyway. Too late mate. Too late. [00:52:00] I do because … I had actually research that for cereal killers way back. I’d started in 2010. I was on that. The only people who were popping up then you had Martin [inaudible 00:51:21] from [inaudible 00:51:22] and [inaudible 00:51:23] some work on it at that point, but it was considered pretty crazy at that point. I didn’t use it in cereal killers because I thought it might have muddied the waters. I wanted a very simple clear message, but I absolutely, I wouldn’t say I practice it, I listen to my body. If I’m not hungry I don’t eat and if I am hungry I do eat. Yesterday I didn’t eat. I went and I lifted my boulder from the beach at about 3:00, but I hadn’t eaten before that. I hadn’t eaten that day because I wasn’t hungry. I ate at about 4 or 4:30 yesterday, but that’s just because I felt like it. [00:53:00] You get a great hormonal response when you work out in a fasting state as well. I like to go after those little hacks and see what’s there … In terms of foods, I just don’t eat refined foods. I enjoy a glass of wine and I had a beer last night. When you get into gut health, one thing I do love is we’ve got a great little outlet here that sells raw milk kefir. It’s fermented to drink. It’s fantastic stuff. I do eat some dairy, but it’s the fermented variety typically and beyond that I have a slice of sourdough bread. I think the one thing we actually found interesting down in Italy was that a, they didn’t eat very much bread at all, but b, they made their own and they were using a starter culture so it was sourdough. We know that that strips away a lot of the problems with wheat and grain. [00:54:00] It’s interesting. A lot of the time it doesn’t really seem to be the foods that we are eating that are the problem, but it is the manufacturing and the processing that is causing the issues because yes, these traditional craft foods don’t seem to cause anywhere near as much issue as the supermarket products that we see and consume. Hopefully the food industry will end up agreeing or the diet industry I should say will all end up agreeing on just eating that kind of wholesome healthy diet one day as opposed to putting it all in the box. That’s the last one thing I want to say, Donal, on your movie before we wrap up, is how positive the message was. Always with the movie, it was fantastic mate. There was no attack in there or attacking that, it was just a great message and yeah. [00:55:00] Thank you. That was a very conscious decision because I didn’t want … It’s very easy to attack attack attack and just say no. That’s a very easy position to adapt, but it’s not the most inspiring. We even give Anzelkeys the benefit of the doubt in there. Some people don’t like that. I’m like, “well, you know. He is 88 years old and he did genuinely try to publish a paper that could have changed track a little bit and he was darn hungry about it. Let’s tell the story and let the viewer decide.” The whole idea was to pitch positive. Brilliant. If we wanted to watch the movie right now, where would we go? thebigfatfix.com. It’s downloading and streaming direct from the website. Awesome. I’m going to ask the last question because I’ve asked him twice before in 2 other shows. I’ll check and see if they are the same answer or not. Okay. Go for it Guy. [00:56:00] I’m wondering how has it changed since the last time. I’m going to use [inaudible 00:55:52] advice to everyone and that is that we must each find our own way. He is somebody who gets his cup and huge flaky in south Africa at the moment, but when you sit down and you talk to that man, he’s not saying go out and eat 6 sticks of butter which is what some people perceive him to be saying, he is saying you must find what works for you and that is the journey. That’s the cleanest and most important message I’ve probably encountered in this journey of film making. Can we expect to see a 4th movie at some stage, Donal? Friday the 13th movies. You are going to be a cereal killer’s part 12. As long as people let you do it, it’s a privilege to try and we see what happens next. [00:57:00] Brilliant mate. You disrupting the industry and it’s awesome. It’s great to have you on. Appreciate you coming on Donal. Thanks for the support boys. Thank you very much mate and I look forward to speaking to you again. Great podcast. Just a note, might need to retype the website address mentioned at the end to http://www.thebigfatfix.com. If you’re like me you copied bigfatflix.com as the wording / space makes the “The” not look like part of the address and it doesn’t take you to somewhere family friendly….